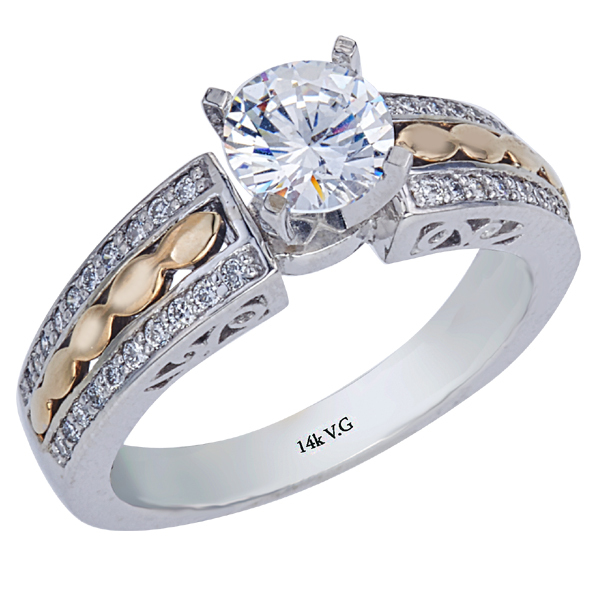 Variety Gem Co., Inc. - 14K white gold engagement ring D: 0.33ct. 14K white gold engagement ring D: 0.33ct. 0.33 ct. 14K white gold engagement ring. The center stone is not included in the price. Made in USA. Total carat weight: 0.33 ct.